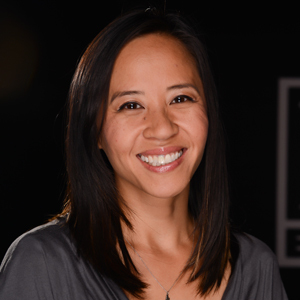 Kim Phan is Director of Esports Operations at Blizzard, and has been involved in esports community for over fifteen years. In her role, she leverages her passion for competitive gaming to oversee the company’s esports-related products and operations. Kim's previous roles at Blizzard have included production lead on the web & mobile team and engineering manager on the business intelligence & risk team. Kim’s interest in professional gaming emerged in 2003 when she began shoutcasting competitive matches in Warcraft III. Kim managed a popular Warcraft III community fan site and led a North American professional team. What started out as a hobby turned into a career when she joined Blizzard in 2006. Born and raised in Texas, Kim received her Bachelor of Science degree in Computer Science from the University of Texas at Dallas. In her free time, she enjoys rock climbing, snowboarding, camping, and playing video games. Kim currently resides in Orange County with her dog, Gizmo.